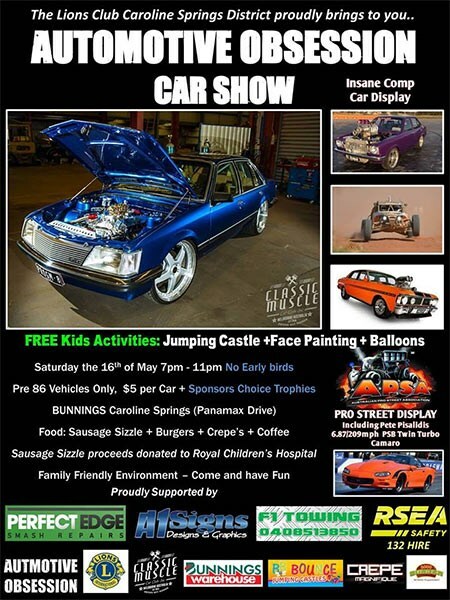 VIC: Presented by The Lions Club Caroline Springs District, the Automotive Obsession Car Show will be held on Saturday evening, May 16 at Bunnings in Caroline Springs. 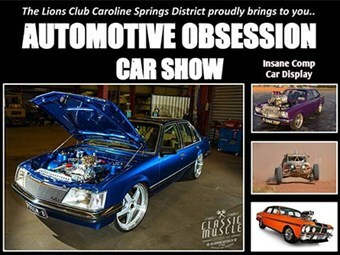 Presented by The Lions Club Caroline Springs District and supported by Classic Muscle Car Club Inc, the Automotive Obsession Car Show will be held on Saturday evening, May 16, for pre-1986 vehicles. Family-friendly event, with free kids' activities including a jumping castle, face painting and balloons, plus a live DJ for music entertainment. Food will be available, including a charity sausage sizzle with all proceeds donated to the Royal Children's Hospital. Plus there's burgers, crepes and coffee. ASPA cars, burnout cars, LS Buggy and a massive competition car display predicted, with sponsor's choice trophies to be awarded.